A global wave of cyberattacks exploited an already patched vulnerability in Windows software and appeared to have Ukraine as a primary target, according to computer security specialists. The first reports of trouble came from Ukrainian banks, Kiev's main airport and Rosneft, in a major incident reminiscent of the recent WannaCry virus. The bedeviling onslaught Tuesday was also being referred to as ransomware by US software titan Microsoft and security specialists. The flaw—and the means to exploit it—had previously been disclosed in pirated documents about cyber weapons at the US National Security Agency. "As ransomware also typically spreads via email, customers should exercise caution when opening unknown files," the Microsoft spokesperson said. "Based on observed in-the-wild behaviors, the lack of a known, viable external spreading mechanism and other research we believe it is possible that some infections may be associated with software update systems for a Ukrainian tax accounting package called MeDoc," Cisco Talos wrote. 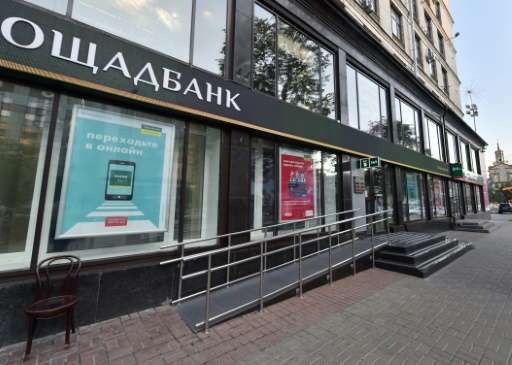 Ukraine's central bank said several lenders had been hit in the country, hindering operations and leading the regulator to warn other financial institutions to tighten security measures. The virus is "spreading around the world, a large number of countries are affected," Costin Raiu, a researcher at the Moscow-based Kaspersky Lab said in a Twitter post.